I'm so excited December is here! It's my favorite month! As my own children are getting older, I'm able to relive Christmas through the eyes of my students every year. I love helping to create the magic for them. That's just one of the many benefits of being a teacher! Click on photo above to see original pin. 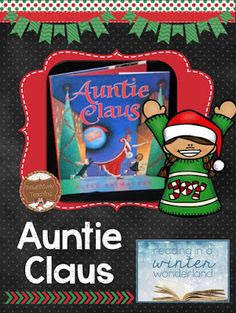 I can't wait to use this Freebie Auntie Claus Interactive Read Aloud from my best bloggy buddy Lisa at PAWSitively Teaching! You can check out the freebie by clicking on the picture above. She has included detailed instructions to walk you through making the most of your read aloud time. She has really gotten me to rethink my read aloud time. Be sure to check out her other titles on her post too! 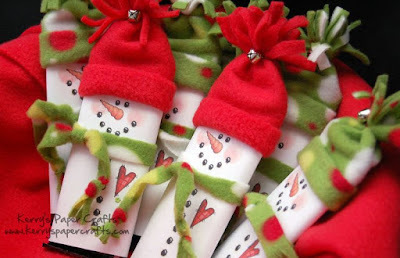 A few years ago my students made these adorable snowmen candy bars. I cut out the hats and scarves beforehand, and the kids added little bells to the hats and fringe to the scarves. I printed the covers and the students taped them to their candy bars and added the little hats and scarves too. They are so cute! The kids flipped over them! I think it would be fun to make a class wreath to hang up. I could see it taking my students a really long time to make their own wreaths, but if we made just one for the class, it would come together quickly. The way it's hanging on the ribbon is so cute too! Now it's your turn! We would love for you to link up and share your top three Pinterest finds for December! 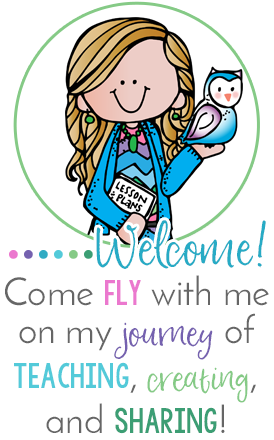 This linky is hosted on the third of each month- so come join in on the fun! That hand wreath is really cute! Thanks for another great month of ideas!! Auntie Claus! I had not heard of her but will definitely check her out now! Thanks! 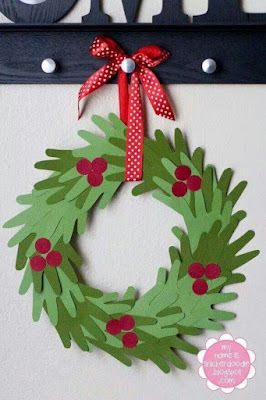 I love the idea of making a class wreath. What a great way to continue to build classroom community. You always find the best pins! I love the snowmen and wreath! Your classroom will be the best place to be this December! The snowmen candy bars are VERY cute! I remember making those wreaths as a child. They bring back great memories! I love the idea of doing a class wreath. I will have to try that out. Thank you hosting! I love your creative pins! Thanks for the new holiday book recommendation! I love the candy bars. They are adorable. How sweet is that wreath! It would be perfect for our classroom door. Thanks for hosting!